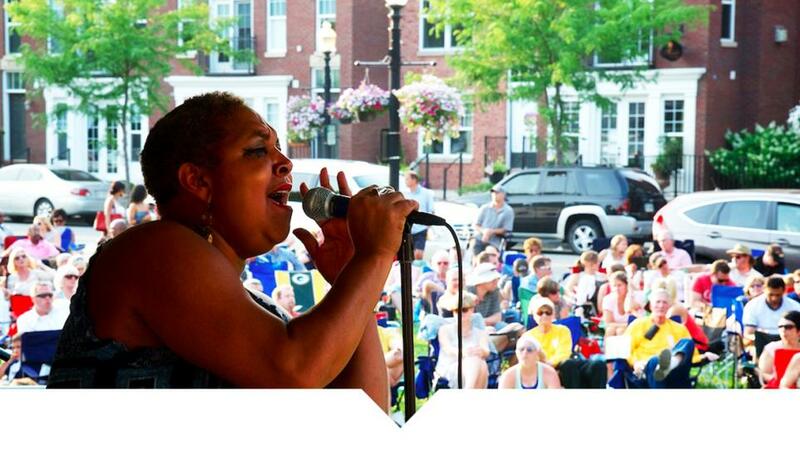 Starting June 23, Jazz on the Monon is in a new location at Center Green in front of the Palladium. Guests can bike to the concert and use the free bike racks. Parking is available on the street or at the Monon Square shopping center, City Center parking garage and Veterans Way parking garage. All shows are from 6-9 p.m.
Concerts are at the Carmel Gazebo at One Civic Square every Wednesday June 6 – Sept. 26 from 7-9 p.m. Parking is available on the street or in the Veteran’s Way or City Center parking garages. June 6 - The Flying Toasters at 7 p.m.
June 13 - Rick K & the Allnighters at 7 p.m.
June 20 - Ruditoonz at 6 p.m., Hunter Smith Band at 7 p.m.
June 27 - My Yellow Rickshaw at 7 p.m.
July 11 - Blue River Band at 7 p.m.
July 18 - 45 RPM at 7 p.m.
July 25 - Parrots of the Caribbean at 7 p.m.
Aug. 1 - The Bishops at 7p.m. Aug. 8 - Dave & Whitney at 7 p.m.
Aug. 15 - Stella Luna at 7 p.m.
Aug. 22 - The Woomblies at 7 p.m.
Aug. 29 - Ruditoonz at 6 p.m., Soul Street at 7 p.m.
Sept. 5 - Mix Tape at 7 p.m.
Sept. 12 - Mike & Joe at 7 p.m.
Sept. 19 - The Doo at 7 p.m.
Sept. 26 - Endless Summer Band at 7 p.m. Parking is available around Clay Terrace. Check out the VIP Tent Presented by Fuzzy’s Vodka for a signature Summer Concert Series Mule. July 5 - The Doo! Click here for more information on live music in Hamilton County, Indiana and be sure to follow us on Facebook, Twitter and Instagram.